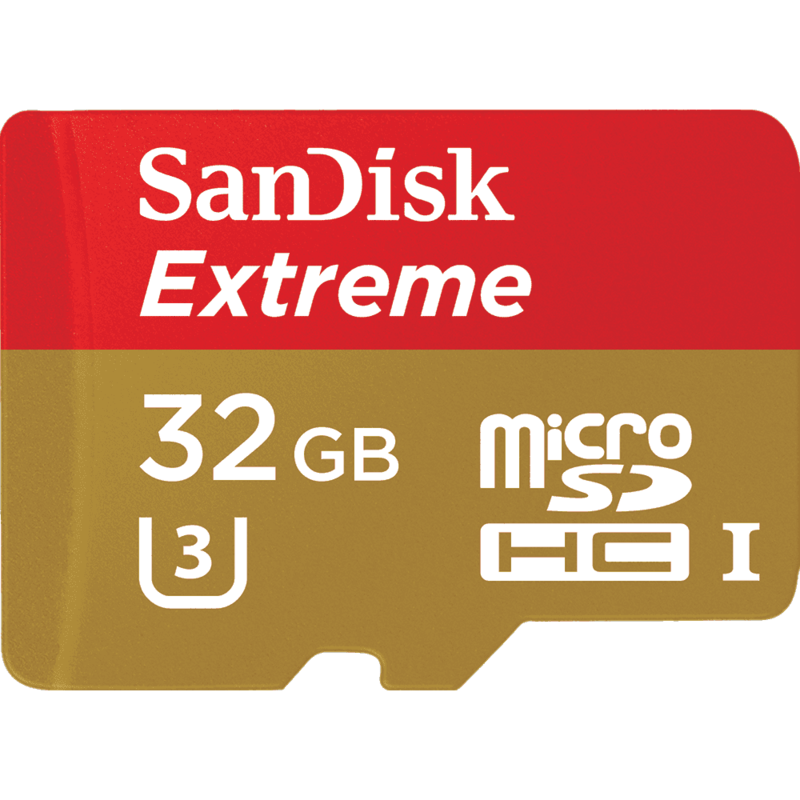 Buy New SanDisk 32GB microSDHC Extreme 90MB/s UHS-1 (U3) Android Class10 with microSD Adapter (Perfect for Tablets, SmartPhones & Cameras) Malaysia At FotoZZoom! Capture more fast action and record more Full HD or 4K Ultra HD-ready video1 with your Android™ based smartphone or MIL camera. SanDisk Extreme cards are built tough for extreme durability even under challenging environmental conditions. Fast write speeds reduce the time you’re on hold while your pictures and videos move to your card, or from your card to your computer. Storage capacities from 16GB to 64GB2 expand device memory and leave room to record video that’s ready for the new 4K Ultra HD television screens and monitors. The best stuff happens fast. With extreme speeds up to 40MB/s, SanDisk memory cards give you the speed you need to capture every detail. Fast write speeds reduce the time you’re on hold while you move pictures and videos to your card. Offload big files faster so you’re always ready to catch the next great shot, and enjoy smooth video playback. Pro video performance with both Class 10 and UHS Speed Class 3 (U3)4 ratings lets you capture 4K Ultra HD and Full HD video1. Your videos will meet today’s highest resolution standards and will look stunning on the latest 4K Ultra HD TV screens and monitors, making this the ideal card for your 4K Ultra HD video-enabled smartphone, tablet or camera. Generous storage capacities up to 64GB2 mean you won’t run out of the memory you need to work, shoot and share high resolution videos and stills.